This case study serves as a summary of illusive networks’ Red Team exercise with a global tech leader. 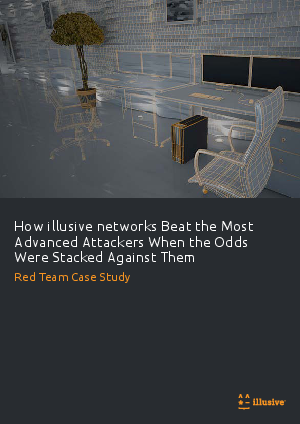 The fact that a system employing illusive networks' Deceptions Everywhere® technology can stand up to a highly-trained Red Team, with the odds stacked against it, demonstrates how you can protect your systems against sophisticated attackers. Learn why a threat deception approach to cybersecurity, focused on the humans behind the attacks, is the most effective way to combat modern cyber threats.